Take 6 drops daily with a meal. Vitamin E is a sensitive substance which breaks down easily at high temperature. Because of that, it is recommended to store the product in a cold and dark place – preferably in the refrigerator. 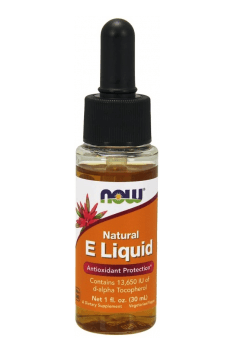 Vitamin E shows synergistic antioxidant effects with β-carotene (provitamin A) and vitamin C. Consequently, it is suggested to add these vitamins to your supplementation regimen to provide extra protection from free radicals. Supplement with strong nootropic properties. Increases focus.